Dimensions 2 by 10 by 12 in. Amazon.com description: Product Description: A classic Marvel hero redefined by one of comics' greatest visionaries! 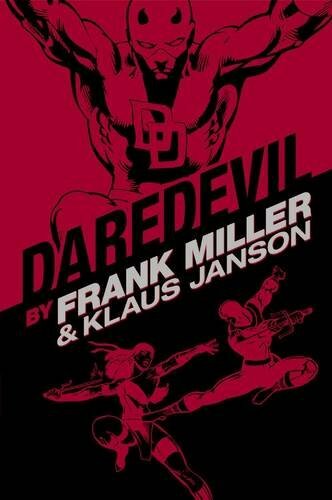 Frank Miller's spellbinding scripts and pulse-pounding pencils mark one of Daredevil's greatest eras - but will the Kingpin and Bullseye's efforts rob the Man Without Fear of everything he holds dear? Featuring the first appearances of Elektra, Stick and the Hand! The daring discovery that drew Ben Urich into Daredevil's domain of darkness! And such forgotten-yet-formidable foes as Death-Stalker and the Gladiator!